Maths tops poll as children’s favourite subject! We spoke to our members to find out what they though about maths, and discovered that it was the most enjoyed subject of four to 14 year olds (26%) followed by PE (20%) and art (16%). This was despite the fact that it is also the subject children admit to finding the most challenging, followed by English and geography. Despite maths reigning strong in the popularity stakes there is a noticeable lack of positive role models. More than six in ten children (64%) couldn’t name a famous mathematician. Of those that could the most commonly named were Albert Einstein, Carol Vordeman, Steven Hawking, Pythagoras and Srinivasa Ramanujam. 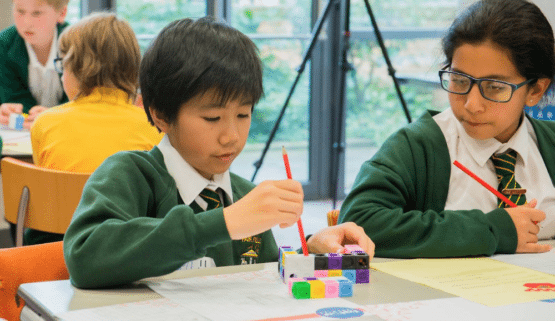 To encourage children to revel in the fun that maths can bring, we run an annual competition for kids with the main aim of engaging the next generation of mathematicians. Our National Young Mathematicians’ Awards is run in collaboration with the NRICH project at the University of Cambridge and the 2017 maths ambassador was Kjartan Poskitt, TV presenter and author of the Murderous Maths series of books. The maths enthusiasm looks set to follow youngsters into adulthood and maybe even careers as more than nine in ten (94%) children think maths is useful and 90% think being good at maths will help you get a better paid job in the future. But children aren’t just motived by money; nearly two thirds (61%) think a job in maths would be exciting! More than a third (36%) think maths is most important for being a teacher, engineer (26%), scientist (17%) and Doctor (9%). The next generation of mathematicians may also put an end to the gender divide in maths related professions as girls and boys alike place high value on numeracy skills. Over half (56%) of children think maths is the most important subject and just under seven in ten (69%) children think boys and girls are equally good at maths. Whilst maths is an equal favourite with both genders, humanities and sciences may have some work to do as art is enjoyed by more girls (23%) than boys (9%) and science is enjoyed by more boys (17%) than girls (8%). Charlotte Gater, Head of Curriculum at Explore Learning says: “Maths is so important to our daily lives and it’s fantastic to see that children of the UK see this from a young age! The fact that boys and girls both love maths equally is also good news for the future as it may encourage more and more girls to enter male-dominated industries where a good level of maths is a pre-requisite. Is maths your child’s favourite subject? Whether they love it or are under-confident, Our engaging maths programme inspires all children to get stuck in and go beyond what they thought was possible!